I’ve been trying to manage some stress lately. You see, I haven’t had enough time to edit all those video clips of my four-year-old son I’ve been shooting. 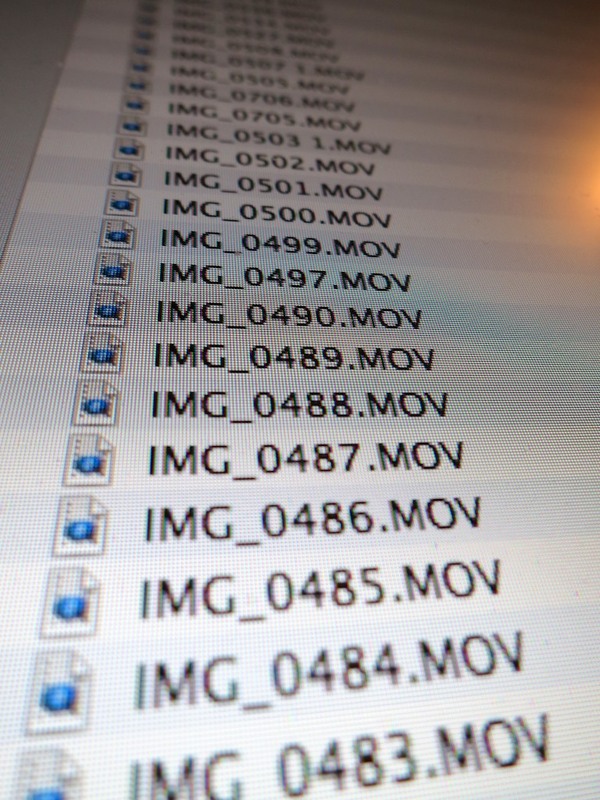 I thought I had the solution when I developed a methodology on how to organize and edit my growing trove of QuickTime files. Then, I realized my approach possessed a flaw that couldn’t address the problem of an unstoppable backlog of captured video moments. So I allowed myself to release a few of my classic clips in mostly raw form. Otherwise, these videos would quickly become dated by fresher news from the frontlines of parenthood. Until an At Home with Tech reader pointed out I had ignored one important detail. He was stuck on the issue of distribution. Simply upload your video to places like Facebook, YouTube and Vimeo. You can also email your digital clips as long as they’re small enough. Otherwise you’ll have to compress them before hitting send. I think the larger question is what percentage of your family videos should you be forwarding out to your world? No child is so cute to justify sending multiple clips out to family and friends each week. That’s a crazy overload. Everyone is absolutely inundated with data these days. Email in-boxes are out of control. We simply don’t have the time to consume it all. So whatever you do, don’t over share your multimedia. You’re going to have to leave some perfectly wonderful content on your own cutting-room floor. Now, we’ve arrived at the center of the reader’s question. Of course, you’ve got to save all those clips or edited videos somewhere. By default, they’re already on your computer’s hard drive. Or perhaps they live on that external hard drive connected to your computer. One copy of one amazing family video on one hard drive equals one disaster in the making. You do know that your hard drive will fail, right? It’s just a matter of time. These inscrutable boxes don’t last forever. That’s why you’re supposed to back up your content to multiple locations. It’s a ‘101-level’ digital-management strategy. So your priceless video absolutely needs to be copied onto two or even three hard drives. And what happens if some natural disaster should strike your home, wiping out all your technology and associate bits and bytes? Yes, cloud storage is definitely a good way to go. I use CrashPlan, but there are a variety of other great options to choose between. It’s sad to say, but the DVD is yesterday’s technology. You really shouldn’t be relying on it anymore as a way to archive your content. The higher quality of Blu-ray Discs is clearly more appropriate for your HD workflow. But that technology never really replaced DVDs as a consumer-friendly archiving tool. So that’s not your solution, unless you wanted to invest some serious dollars. Even if you stubbornly stick to your DVDs, they’re eventually going to turn into drink coasters anyway. And if yours don’t, DVD players will eventually only exist in museums. So where does all this naysaying leave us? And you’ll need to give some ongoing love to the health of your collection over the years to come. That means having to continue to transfer your content as you upgrade/replace your computer and drives. The reader ponders the possibility of editing a giant video together to cover an entire year. Well, a single video file designed to represent twelve months in the life of your family would be huge. And who’s really going to have the time to watch an overblown multi-hour family epic? Plus it would be a real pain always having to scrub through so much content to find the best moments. Trust me… the “Less is More” rule will rarely let you down. Finally, organize your videos into annual folders. It’s okay to keep it simple at this level. But remember, throwing hundreds of unnamed, unedited videos into one folder marked ‘2014’ isn’t going to cut it. You may be successful at preserving their existence over the decades using the above archiving strategies, but those precious moments hidden amongst the hours of often-unremarkable footage will effectively be buried forever. Someone (or something) may one day find your magic family memories, but it will likely be the result of a future alien or android archeological dig studying humanity. I imagine you’d prefer it if someone else closer to home in this century enjoyed the best content of your digital archive before all that goes down. Don’t panic. There’s still time. But you’d better get to work! This is a great help. I am taking two things from this – one, ditch dvd’s. I hate to do it because I am used to handing dvd’s to the grandparents but as you say, time to get out of that mindset (or way past time). Two, I will check out Vimeo. I haven’t been happy sharing videos on Youtube because of privacy issues but hopefully it looks as if Vimeo has better tools for sharing with the people you want and keeping the creepy strangers away… thanks for your thoughts!